It is June, 2005 and the media has initiated a doom and gloom campaign for the real estate market. 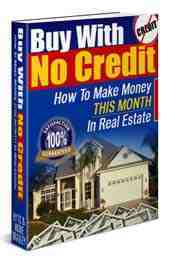 Major national news sources are reporting that the �housing bubble� will inevitably burst. These sources also speculate that this bursting real estate bubble will cripple the real estate market and adversely affect the economy of the entire United States. I am a REALTOR in Williamsburg, Virginia, a market with a high growth potential for real estate investments. There are similar markets to Williamsburg, such as Silicone Valley in California, Washington D.C. and the suburbs of Maryland and Northern Virginia, and I could add numerous others to this hot list. The closer a home is to metropolitan and populated areas and desirable places to live, the higher the cost of real estate. The chances of turning a profit in a shorter amount of time on real estate investments increases in these types of areas. Real estate prices in one state or even areas within the same state are not tied to each other. But the U.S. media might like to make us think they are all related because extreme stories sell newspapers and add value to advertising time. Real estate is still the most stable investment a person can make with their money, and it will be for decades to come. In my opinion, the media is also tied to the stock market, which loses investors when people choose the security, safety and high return of a real estate investment over an investment in stocks, bonds, or mutual funds. built on sand, and these fell. The others remained, and are stronger than ever. E-commerce remains one of the most efficient, and time saving ways to do business. In fact, I would not be a major player in the Williamsburg real estate market without my website. In a similar vein, I believe that the media myth about the eventual collapse of the national housing market is painted in too broad of strokes. investment properties, second homes, and helping their children become homeowners. Mortgage rates may seem to be inching up, but they are still extremely low compared to the double digit rates of the 1980s. I believe the current lending friendly market will promote a boon in the real estate market � not a bust. In closing, I have some advice for home buyers and home sellers. Know the price of homes sales in your own market area and then take your place within that market. You can buy, sell, or hold, just like investing in stocks. In the coming years, the real estate market may see a slow down of appreciation in home equity from double digits to single digits. Yet all investors, even in the stock market, know that to truly reap the benefits of investing, you must at least be prepared to hold onto an investment until the time is right to sell. Real estate is, and will remain, the most stable investment anyone can make now and in years to come. For more information on buying property with some great potential in the Williamsburg area, read my article on purchasing in New Kent County, Virginia: http://www.voncannonrealestate.com/If_I_had_a_Hammer_I_Would_Build_in_New_Kent_County_Virginia.php. Elaine VonCannon is a REALTOR with RE/Max Capital in Williamsburg, Virginia, and she manages investment property. Elaine is also an Accredited Buyer's Representative as well as a Senior Real Estate Specialist. She has helped numerous clients invest in and make money on property in Southeastern Virginia.